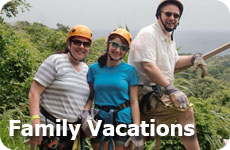 North Shore Hawaii - Our tour from Waikiki to Pearl Harbor to the Dole Plantation and up to Turtle Bay Resort. Day 2 - Trip to North Shore Hawaii with stops in Pearl Harbor, Dole Plantation, Turtle Bay Resort, and Waiahole Beach Park. Due to the time change we were awake at about 4 am. After our ordeal with the traffic the day before, we wanted to get out of Honolulu. So we put the roof down on our Sebring Convertible and hit the road to the North Shore Hawaii! To see the route we took and get directions from Google Maps click here. During our research we learned that if you wanted to see Pearl Harbor and the USS Arizona Memorial, and did not want to spend most of your time waiting to get in, you should be there by 6:30 am. So we decided get some breakfast and off we went. The traffic certainly was better at 6:30 am on a Saturday morning! We arrived at Pearl Harbor at about 7am and were stunned at how many people were there already! The line up was unbelievable. But it really was an incredible visit! We left the Memorial at about 10 am and started driving to North Shore Hawaii. We drove through Pearl City to Hwy 2 - the Veterans Memorial Fwy.to Highway 99 - the Kamehameha Hwy. Purely by chance we ended up at the Dole Plantation. 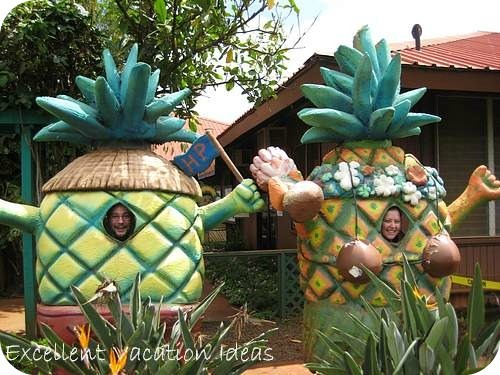 We had read that the Dole Plantation was a tourist trap but that we should try the Pineapple Whip. It is like pineapple ice cream or sherbet. We didn't like it very much at all, and Warren is a fan of Pineapple! Plantation next to Dole Plantation - We thought Hawaii would be like this but it wasn't! We didn't do much else at the plantation, and there was a nice store - but over priced. Overall we really felt it was a tourist trap. - Just our opinion. A couple of years later, when we were in Hawaii for a wedding, we went back and had our photos taken with these pineapples again! Unfortunately the Dole Plantation still felt like a tourist trap to us. But it was great fun to take our photos again! We continued up the Kamehameha Hwy (Hwy 99) towards the North Shore Hawaii. The mountains were beautiful and it was a gorgeous and romantic drive. 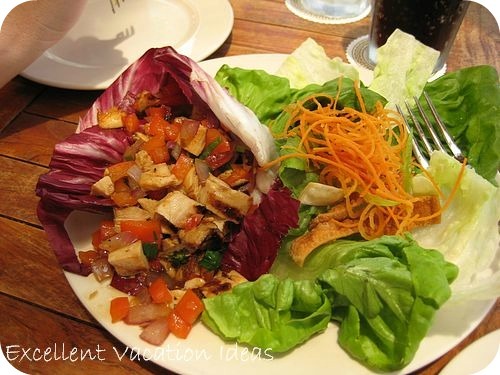 We soon hit the sleepy little town of Haleiwa and thought of grabbing some lunch. However we had remembered that the Turtle Bay Resort was not far, so we continued on . We did a quick stop (really quick as it started to rain a bit) at Sunset Beach to see the world famous surfing beach! Then we arrived at Turtle Bay Resort. It was like finding a small paradise. We asked the security guard at the entrance where the best place to eat was and she said "Ola". She was right - it was EXACTLY what we wanted. The view, food and service were amazing! It was the perfect lunch on our adventure outside Waikiki. After a long leisurely lunch, we went and put our feet in the water at the beach. Then we were on our way. We drove down the west coast on the Hwy 83 (Hwy 99 turned into 83 on the North Shore). We stopped a few places for pictures and to stretch our legs. We stopped at Waiahole Beach Park. It was a beautiful place, with local people enjoying the day picnicking or writing, or painting. The water was rough - lots of waves. It was really awesome to watch. What is really neat, is that when we were in Las Vegas in May of 2008, we were talking to a server from Hawaii and he suggested that we went to this beach and we already had! It is a small world. We drove past the Polynesian Cultural Center, but didn't stop as we were going to a luau the next night. We were getting tired and the day was starting to catch up so we decided to cut down the Likelike Hwy, and missing Waimanalo Bay. We did however, end up in a tunnel through the mountains. Warren thought it was the best thing since sliced bread! We even took a short video of it! When we got back to the hotel we took a swim on Waikiki Beach in front of the Royal Hawaiian Hotel. We were stunned at how deep it was and rough - the next day however we realized that the tide was in and the current was stronger than usual - it was quite fun bopping around in the waves! 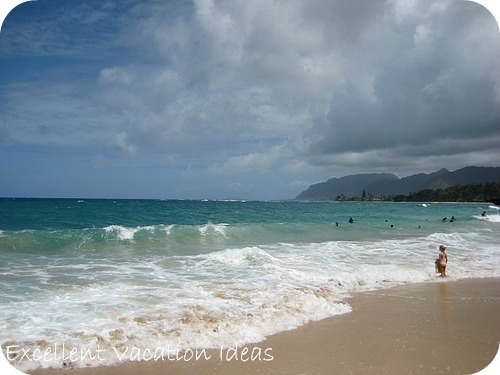 We loved our trip to the North Shore Hawaii!